No Crease : It is made of high quality polyester material and can effectively prevent wrinkles. no crease left When the screen is compressed or folded . Easy to set up: The projection screen can be fastened easily with hooks, ropes, bracket, nails, double side tape on the wall/mount. 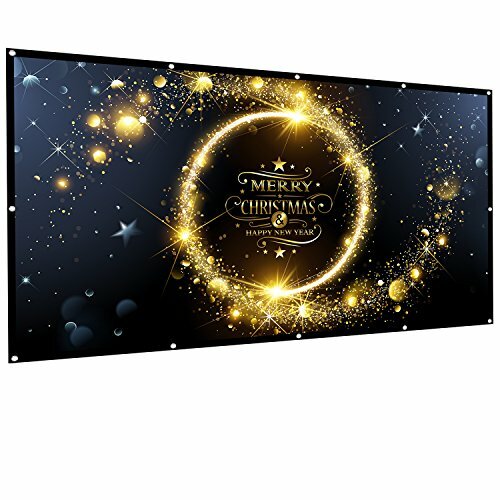 ANTI-CREASE AND HIGH ABSORBANCE MATERIAL - Made with natural Polyester fabric that The projection is sharper and brighter than most other projection screens, The Projection Screen are thicken and smooth, no wrinkle when folded / crushed. EASY TO SET UP - The Projection Screen can be fastened easily with hooks, ropes, bracket, nails, double side tape on the wall/mount. If you have any questions about this product by OWLENZ, contact us by completing and submitting the form below. If you are looking for a specif part number, please include it with your message.